TALLIS John East Canada and New Brunswick. Steel engraving with outline hand colouring. Clean. 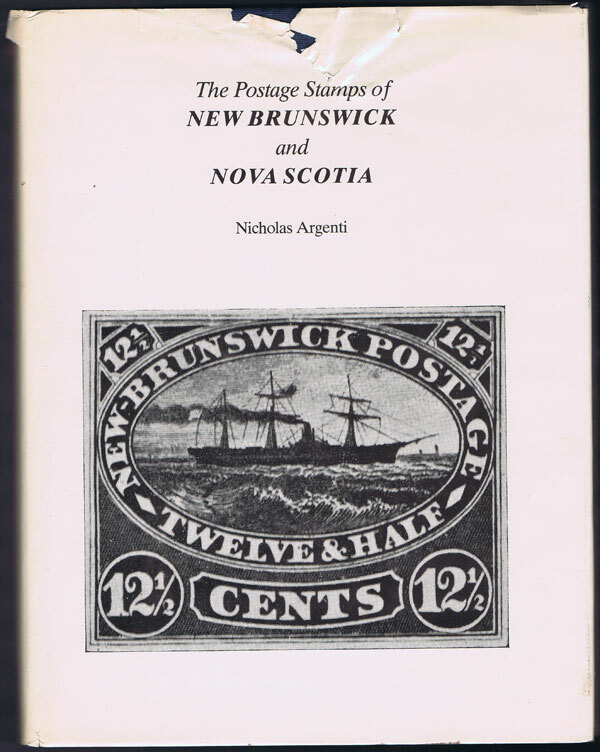 14 x 10"
ARGENTI Nicholas The postage stamps of New Brunswick and Nova Scotia. Quarterman Pub., Massachusetts 1976 223 large pp. Reprint of 1962 ed., fine in damaged D/W. Authorative philatelic handbook. HOUSE OF COMMONS Appendix to the reports. H.M.S.O. 1814 (circa) 1st ed., clean in modern boards with cloth spine. Eye-witness testimony from customs officers in Nova Scotia, New Brunswick, Barbados, St Lucia, St Vincent, Dominica and Martinique. Very detailed. 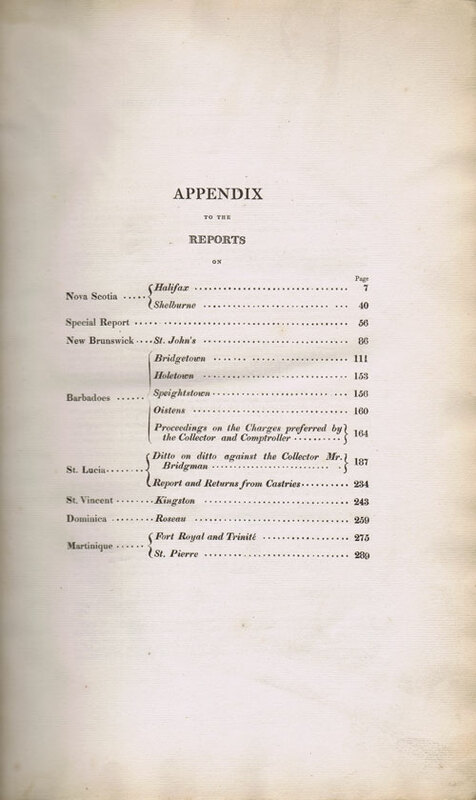 Includes John Prescod Williams, collector of customs at Hole Town, Barbados and Charles Kydd Bishop in Speights-town. LUGRIN C.H. 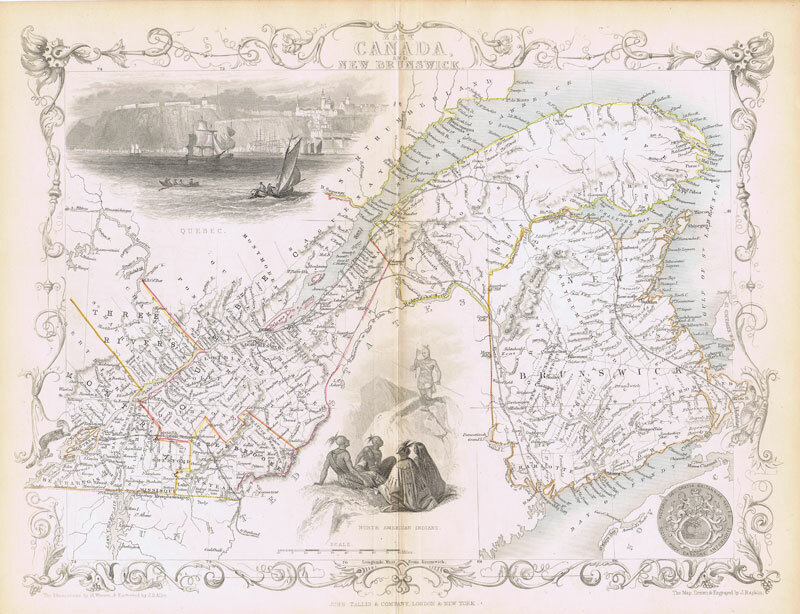 New Brunswick: (Canada) Its resources, progress and advantages. 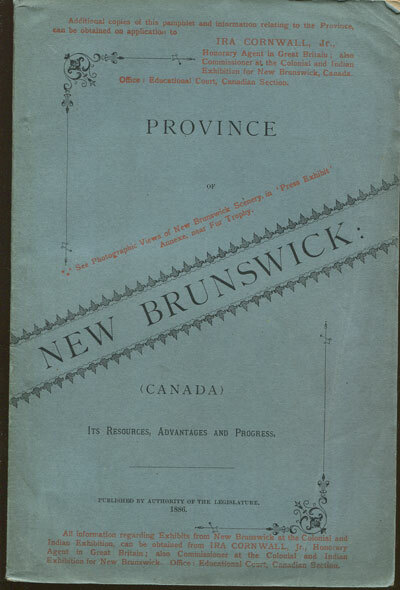 New Brunswick 1886 191pp + tinted folding map and plates. 1st ed., few tone spots on title page otherwise very clean in orig. blue card covers. Good description of the colony with advice for intending settlers.